Mark of the Ninja is the first stealth game I have ever played, and the closest I’ve been to being a ninja in a video game would be Shadow in FFVI. This is a genre that’s completely new to me, and the same goes for my experience with developer Klei Entertainment. I can’t compare Mark of the Ninja to Klei’s previous titles Eets or Shank, but that’s okay because being a badass ninja is more than I could have ever asked for. Some time ago a merchant told a ninja clan about a particular ink that can only be formed by a flower tainted in black. If this ink is embedded into your skin you will be granted unique skills that will push you above and beyond any other ninja. Mark of the Ninja begins with an unnamed main character who has received his first tattoo with this mysterious ink. The catch? The ink will eventually drive yourself to the point of madness, thus you must vow to kill yourself before things get out of hand. Mark of the Ninja sets you on the path of sacrificing yourself to these tattoos in order to protect your ninja clan. Things go smoothly until you realize with the help of your female companion Ora that the clan may have been using you for your now advanced powers. 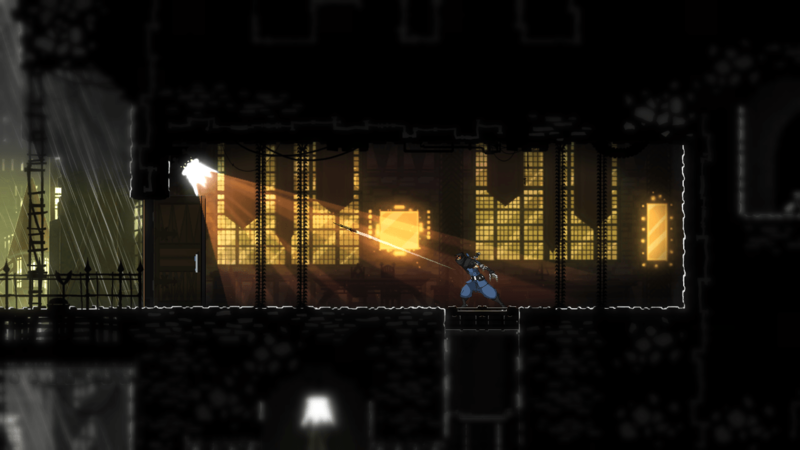 Mark of the Ninja is a title that focuses more on gameplay elements instead of story. You are an assassin that hides in the shadows, and the majority of the time the main conflict is remaining hidden and avoiding being killed. It’s best to stick to stealth and wait for the right opportunity to slay whomever is in your path, but at times I would find myself rushing through an area with my fingers crossed that no guards would hear my footsteps. There are a lot of interesting mechanics like grappling walls and hiding behind objects that make the stealth aspect more enjoyable overall. Can you find me? No? My ninja powers are working! Each level feels like a level with clear objectives and a map always showing you where to go next. Sometimes I would need to backtrack because I took the wrong way. Who knew crawling in an underground sewer would work better than climbing over a building’s roof? New gameplay features are revealed along the way, from throwing darts to a nifty “ninja sense” move that allows you to see the entire area’s set of traps. 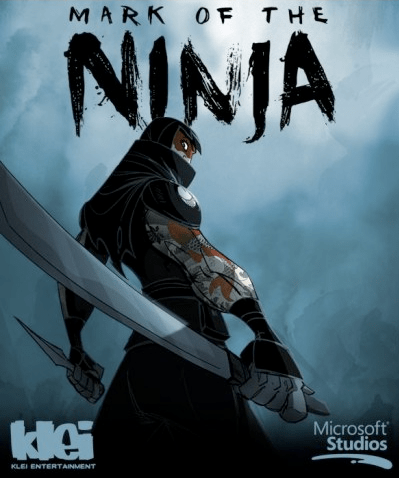 These abilities are usually introduced with a slight increase in gameplay difficulty, which I must say Mark of the Ninja never presents itself as a difficult game to complete. For those seeking a more challenging experience there is a New Game Plus feature unlocked once you beat the game the first time. That being said, the controls can be a bit frustrating at times. Every time I would hit a button my badass ninja character was always responsive, but the button you press to open doors (and do other stuff too) is the same button you use to move around dead bodies. Sometimes in the heat of a fight where an extra second wasted could cost you your life, pressing “B” to close a door for protection would instead pick up a body off the ground. This was sometimes a bit annoying when trying to find a hiding spot as well. My only other gripe with Mark of the Ninja would have to be its story. Although it’s simple to follow I feel like things could have been better explained overall. The main concept is fun and the ending is certainly a bit of a twist, but I had no idea why I was protecting my clan and killing a large number of bad guys throughout most of the story. After I beat the game I played through the first and last levels one more time to better solidify my understanding of the plot, which did help in the end. Throughout the game you can upgrade your ninja with new abilities and outfits; some of which are cool and others I simply didn’t find to be necessary. There are a number of hidden scrolls within the game that reveal more background to the ninja clan, and you can also play secret challenge levels that utilize your skills and brainpower to the max. These features, including Xbox Live leaderboards and the New Game Plus option, have been added for those looking for a richer experience beyond the basic level of play. 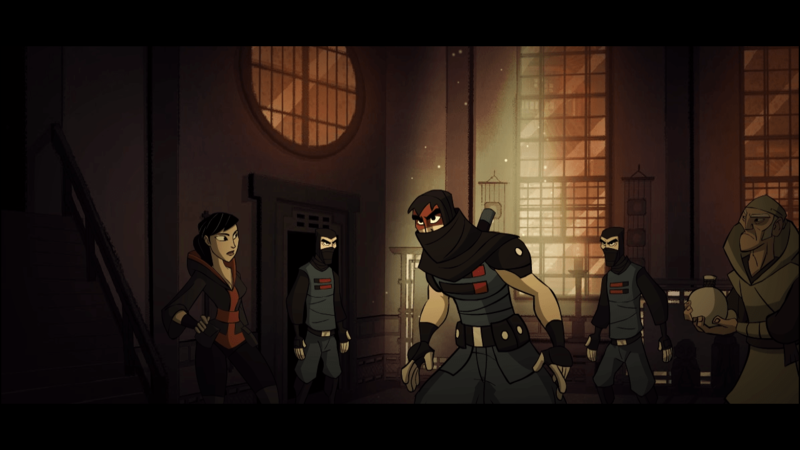 I would say my most favorite aspect of Mark of the Ninja would have to be the game’s art style. There is always a presence of multiple layers between the background and foreground, and they are always extremely detailed. I also enjoyed the anime style cutscenes that furthered the story along. Every kill had a stylized mini-cutscene where the camera would zoom in on the action of your sword thrusting into a bad guy’s chest or throat, all in the matter of a split second as to not take away from gameplay. 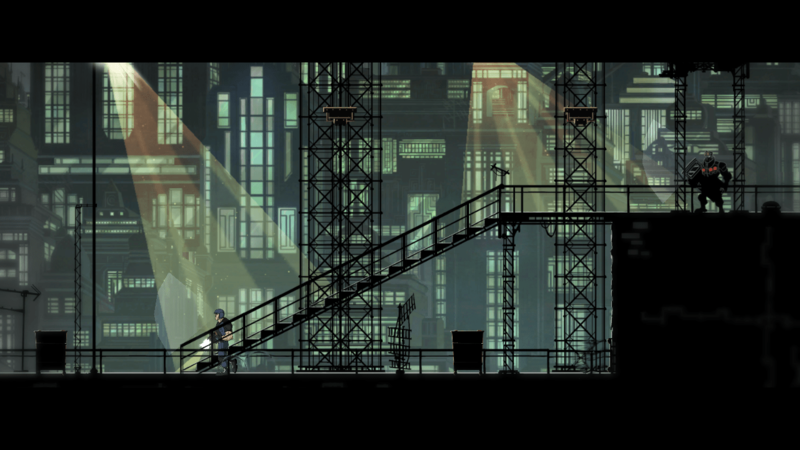 Overall, I am glad that Mark of the Ninja is my first experience with a stealth action game. Although it’s different from most games I am used to playing, the game’s stealth mechanics and interesting level designs were enough to keep me entertained until the small twist of an ending. Even if the story was a bit lacking I had an enjoyable experience for the roughly 8-10 hours of gameplay that Klei Entertainment decided to give me with Mark of the Ninja.